In earlier post you have learned how to send Excel Workbook as attachment with email from MS Outlook using Excel. In this article we will learn about how to Send Mail With Multiple Different Attachments From MS Outlook using Excel. 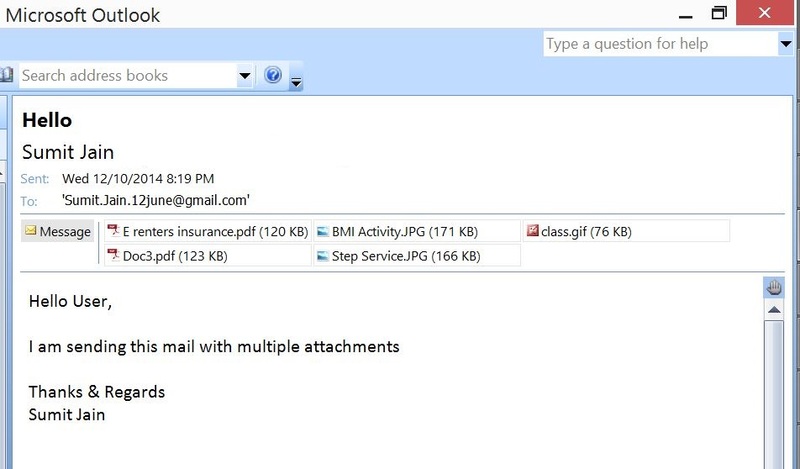 These attachments might be anything, an image, word document, excel document, pdf file, text file etc. Note: Don’t provide any filter in GetOpenFileName() to select any file as attachment. 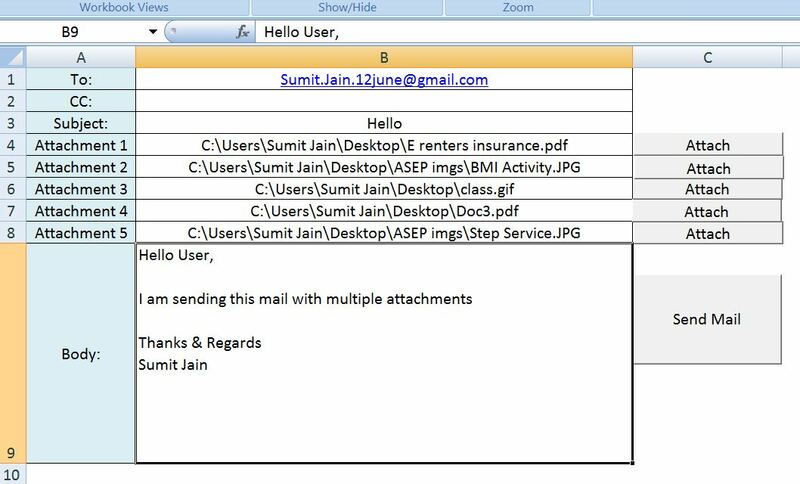 I would recommend that you must read Send a Simple Mail From MS Outlook Using Excel and how to send Excel Workbook as attachment with email from MS Outlook using Excel to understand the complete code below. You are a rockstar – this helped me fix an attachment issue I was having for which I did almost 4 hours of research to try and fix! 218 queries in 0.097 seconds.